Thank you for taking the time to share your review. (25 sq. ft.) - About the size of a small closet. Great for storing boxes, small furniture, sports equipment, tools, holiday items, and even a twin size mattress. (50 sq. ft.) - About the size of a standard walk-in closet. Perfect extra boxes, a queen size mattresses, files, small to medium sized furniture, and even a motorcycle. (100 sq. ft.) - Ideal for storing the contents of a two bedroom space. Perfect for holding an entertainment center, king-size mattress, larger appliances like washers and dryers, dinning room set & small-medium size furniture. (150 sq. ft.) Perfect for holding the contents of a 3 bedroom space. Great for storing large screen t.v. 's, bikes and other sporting equipment, large furniture, full dinning room set, or even music equipment like a C-3 piano, drum set, or all the equipment needed for a several-month long tour. (200 sq. ft.) Now we're getting to sizes ideal for cars, boats, and other vehicles. A 10' x 20' unit is ideal for a small car with some extra room to spare or a 3 to 4 bedroom set. Fill remaining space with sports equipment, small furniture set, boxes, or other small to medium personal items. (250 sq. ft.) A 10x25 unit is great for storing a large vehicle, small boat, and other large items with room to spare. Moving across country? This size unit is ideal for storing the contents of a large home while you settle in. (300 sq. ft.) A 10x30 unit is great for storing a large vehicle, small boat, and other large items with room to spare. Moving across country? This size unit is ideal for storing the contents of a large home while you settle in. 10' x 20' - (200 sq. ft.) A 10x20 parking space can easily fit a small car but they are great for mid size and larger vehicles like trucks, SUV's and vans. 10' x 30' - (300 sq. ft.) A 10x30 parking space is great for storing a larger vehicle like a mid-size RV, small boat or camper. Enter a City, State or Zip code below to find your nearest pay online location. Search by city, state or zip and select a facility near you. Not sure what size you need? We can change this later at no cost. Pack Your Things & Move-In! A site manager will have your information ready and can answer any questions you have. Hold this unit for free. Cancel at any time. Not sure of your move-in date? No problem, your site manager can change this later. Your property manager will call you to confirm your reservation and answer any questions you might have. Pack your belongings and drive to the facility. Sign your lease and move in! Are your contracts month to month? Yes! All our rental agreements are month to month. We do not offer long term contracts and you can move out at any time. We just ask for a 10-day notice to vacate before you move out. We do not pro-rate units, so be sure to give notice to a site manager at least 10 days before your next bill so you don’t pay for a month you do not need. Follow the “size guide” button near the top of this page to see roughly how much can fit in each space, then reserve the size online that you think best fits your needs. Don’t worry about choosing the wrong size. A site manager can give you a tour of the space you rented, the other spaces we offer, and change your unit size if you decide on a different space. Am I locked into a contract if I reserve online? No - reserving online is the fastest and cheapest way to hold a space in your name. A credit card is not required and you are not obligated to move-in. The best discounts & cheapest rates are listed online, so make sure you place a reservation on this website, even after speaking with a manager. Do I need to buy your insurance? No, but we strongly recommend it. All our storage spaces require insurance, but if you already pay for renters or homeowners insurance your unit may be covered. Check with your insurance provider and if self-storage is included in your plan, bring a copy of your declarations page and we’ll honor the policy you already have in place. 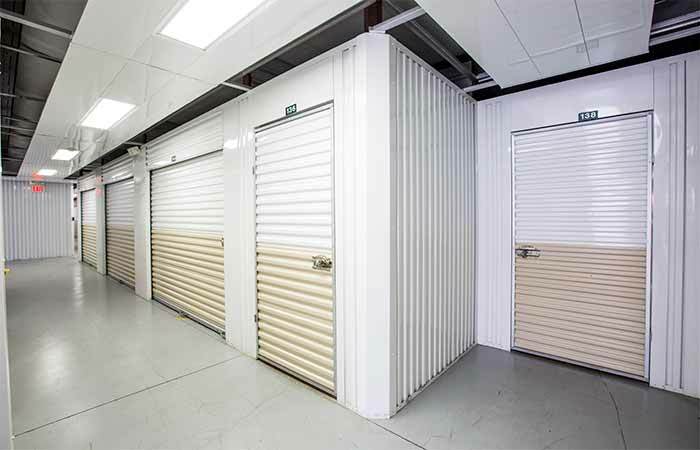 If your insurance provider does not cover your storage unit, we can provide coverage for you at $9/mo which provides $2000 in coverage. Do you offer climate control units? Yes. Climate controlled units never dip lower than 65 degrees or higher than 85 degrees Fahrenheit. Drive-Up storage works great in most instances and offers plenty of value and protection - especially when items are packed and stored away properly – but if you’re storing really valuable and sensitive items for an extended period of time, climate control may be better suited (we recommend tightly packing and securing valuables in plastic bins no-matter what type of unit you rent). What is a drive-up storage? Drive-up units are offer quick, in-and-out access to items. Park directly in front of your unit, feet in front of your door. These tend to be the most popular unit type because it makes accessing your things so easy. As long as your items are packed securely in plastic bins, you’ll find that drive-up units are just as reliable as climate control. What are your cross streets? We're located on Fredericksburg Rd just past Vance Jackson Rd. In front of JC Food Mart, next to Autozone. How do I make payments on my unit? Paying online is the easiest way to submit a payment, but you can also call the site directly and pay over the phone. Click on “my account” at the top of this website, type in your zip code and select your site. This will lead you to our account manager where you can login and manage your entire account. You can also setup automatic payments, update your address and phone number, and manage most aspects of your account. Rent payments are on an anniversary system, which means your payment is due on the same day your lease started. How tall are storage doors & how high is the ceiling? Roll-up doors are on average 8 feet or taller. So are almost all storage units. You won’t have any problem fitting long or tall items through the door, or storing them in your unit. Just make sure you reserve enough space to hold all your items. You won’t have to think about the rest. 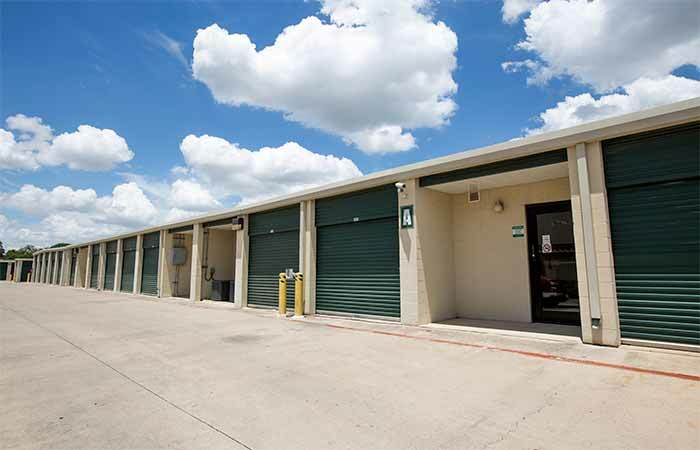 Finding the perfect self-storage for your needs in San Antonio, Texas can be hard. That’s why we’ve eliminated that problem by offering a wide variety of amenities and unit sizes to meet any need! We strive to provide each and every customer with incredible service and options for a great price. 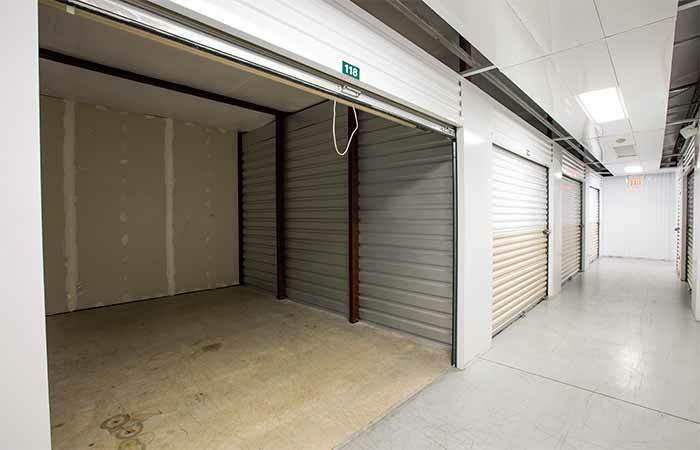 Whether you own a business with extra inventory or need to clean out your basement, we have storage for you! We take the security of you and your belongings very seriously. We have a fence surrounding our whole facility and only customers can get through our gate with their personalized access code. Plus, our manager Mike lives onsite to watch over all the units. Check out our variety of moving and packing supplies for sale in our office from 9 a.m. to 6 p.m. Monday through Friday and 9 a.m. to 5 p.m. on Saturdays. We offer all our customers the ease of paying their rent online so they can keep up with their bill from anywhere. Find us off Fredericksburg Road in San Antonio, near AutoZone, and Tink A Tako. Give our managers a call today and set up a tour! You won’t regret it. 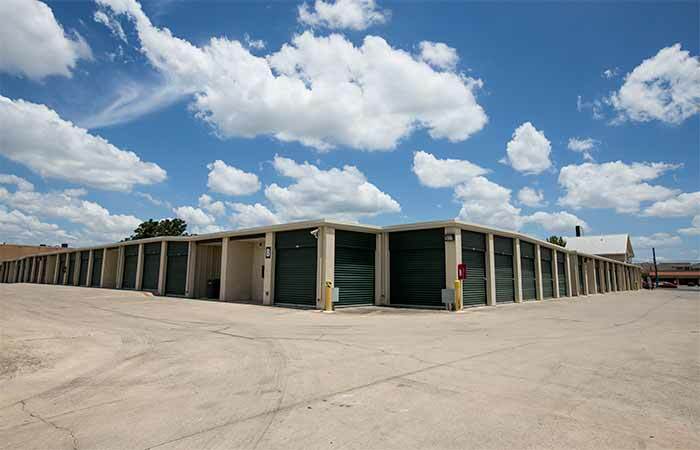 14611 O'Connor Rd San Antonio, TX - Offering climate controlled, drive-Up access and parking storage options. Serving residents and businesses of Knollcreek, Live Oak, Uptown, Hollywood Park and all other nearby areas. 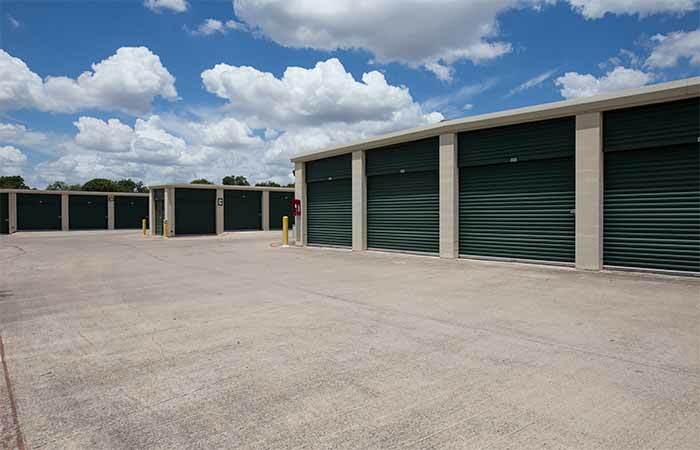 8150 Kitty Hawk Rd Converse, TX 78109 - Easily browse a wide selection of climate controlled drive-up and non-climate controlled storage units in Converse, TX. Our office is located next to the Kitty Hawk Animal Hospital and faces the Master Lube Express. We are within walking distance of Esplanade Gardens Senior Campus, The Heights at Converse Apartments. Serving residents and businesses of Live Oak, Universal City, Northeast Side, Windcrest and all other surrounding locations. Previous Customers Please Note: RightSpace Storage of San Antonio, TX formerly operated as "Store More! Self Storage." While we are sad to see Store More! 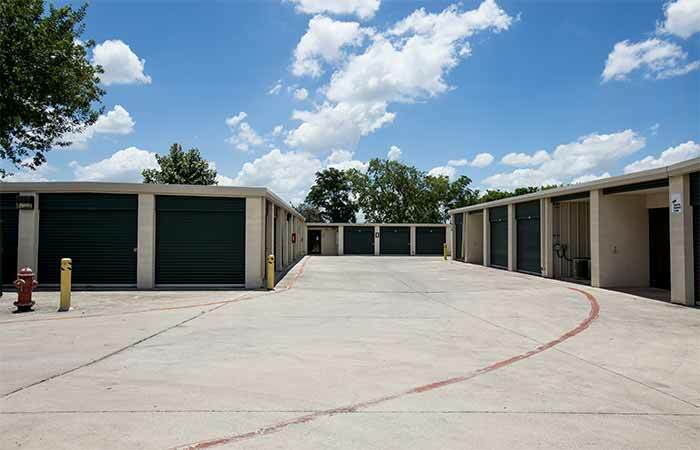 Self Storage go, we are excited to have the opportunity to better serve you and the local San Antonio community. We are pleased to say we are the same staff, same management, and same reliable storage team you know and trust. So please don’t hesitate to drop by and say hi! The storage facility is one of the cleanest that I have seen in town. The staff are very friendly and helpful. Bert and Diane work hard to keep customers happy. The rates are also reasonable and fair. It was my first time using a storage unit, just moved out. The people working here were really nice and professional. Overall a good experience. Friendly customer service, easy to work with, great prices. friendly staff and the property is well maintained and secure. Quick paperwork. Nice staff. Clean property. Great place. The staff is friendly and efficient - Lillian is top notch. The facilities are clean, and the process of getting a unit was painless. Highly recommended! Out going staff, very helpful, clean storages. I would reccommend to friends and family. Even while the construction going on next door of the facility it was well maintained. The Lillian was friendly and very helpful. Would reccommend to anyone needing storage. I found this property to be clean, and the staff to be friendly and helpful. We would recomend this facility to our family and friends. Excellent experience with this location. I store my boat and jet ski here. No extra fees for storing both toys in one parking space, which is what my last storage facility did. Staff is extremely friendly; they found me a bucket to bail out my boat when my cover filled with water, and they called me to tell me my cover on my jet ski had a tear. How nice that someone is looking out for my investments when I'm not there. Great location and easy access too! Fast, Friendly, Safe. Great access. I rented here for 3 months. No issues. I rented here because they were nice and they gave me a good deal on a 5x5 with 50% off. 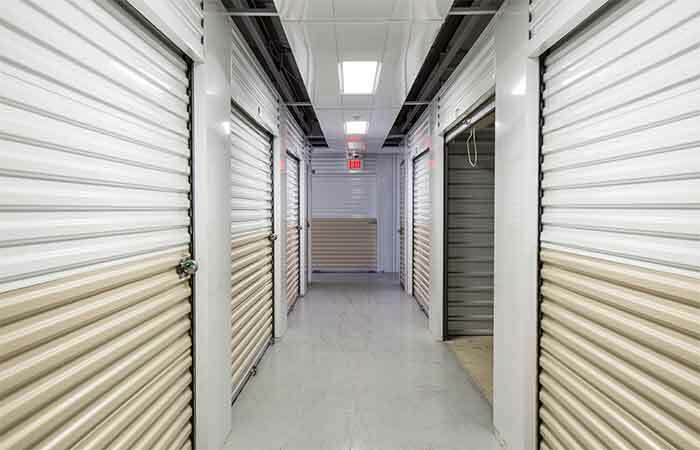 RightSpace Storage is a leading provider of self-storage spaces with locations across the U.S. Find a large collection of drive-up, climate and indoor storage & vehicle spaces at great rates and month-to-month rentals. Reserve online today for free or call 888-522-1312.